Pink trucks, new Pink Trains and a big Pink Ship! On this very warm day at the Roy Hill mine, Mrs. Rinehart and guests were dressed in pinks to launch Roy Hill’s sixth pink trucks fleet to show their care and support for those suffering breast cancer and related cancers, and to celebrate women at Roy Hill. The trucks christened at this special event were Hitachi mega trucks, which have a payload carrying capacity of 296 tonnes, or approximately 3.75 fully loaded Boeing 737 – 800 series aircrafts. The first pink truck christened at this special event was named “Melinda “ after one of Hancock’s accounting team based in Perth, who was diagnosed with breast cancer at the young age of 27, and who is now in remission. The second truck christened was named in honour of General Electric (GE), the manufacturer and supplier of Roy Hill’s locomotive fleet which is made up of 23 trains. The third pink truck christened was in honour of the China Railway Rolling Stock Corporation (CRRC), Roy Hill’s valued supplier of ore cars, who timely delivered the first pink ore wagons. Melinda and executives from both GE and CRRC were present to christen their pink trucks and say a few short words – a very special occasion. Earlier that afternoon, in the heat, Dr. Patricia Kailis AM OBE , governing director of the MG Kailis group, and Mrs. Rinehart christened Australia’s first pink ore trains, “For Mothers” and “Women of the North,” with a rake of pink ore wagons in the background. Today’s launch of pink trucks and pink trains follows Roy Hill’s first pink trucks launch in 2016, Mrs. Rinehart’s initiative, a first in Australia. Mrs. Rinehart’s speech from the event follows. Pink Trucks, Pink Ship and now, Pink Trains! With much excitement and surrounded by Pilbara dust, Roy Hill’s Executive Chairman Mrs. Gina Rinehart and guests gathered up at Roy Hill’s Port Hedland rail terminal yard to christen their special pink trains. This is a Pilbara first, an Australia first, and an Australasia first. The trains have been painted pink in honour of the Chairman’s commitment to supporting patients with breast cancer and related cancers, which continues from the first pink trucks launch back in 2016, and Mrs Rinehart starting Australia’s then first breast cancer foundation, back in the early 90’s. At the special ceremony, Dr Patricia Kailis, AM OBE of the Kailis Group joined Gina Rinehart to christen the locomotives in honour “For Mother’s” and “Women of the North” due to their long standing histories in the north. Joining them were Roy Hill executives and guests, including GE, who proudly watched as their two new pink trains joined Roy Hill’s existing fleet of 21 trains on this special occasion for this very worthy cause. Also in attendance were representatives from the CRRC, who were pleased to see their 130 pink ore cars complementing new pink trains. Mrs. Rinehart’s speech and joint Roy Hill GE media release follows. Roy Hill is delighted to announce it has been recognised as the WA Employer of the Year 2018, at a gala ceremony for the WA Training Awards held at Crown Perth last night. The WA Training Awards is presented by the Department for Training and Workforce Development, to recognise the outstanding achievement of apprentices, trainees, vocational students and the contribution to training made by trainers, training organisations and employers. Roy Hill’s acknowledgement as WA Employer of the Year 2018 is in recognition of achieving excellence providing nationally recognised training to its employees. In addition, this year Tarra Ninyette was also named a finalist in the Aboriginal & Torres Strait Islander Student of the Year. Roy Hill CEO Barry Fitzgerald said that winning the WA Employer of the Year Award is especially significant, given that Roy Hill is still a young and evolving company. Roy Hill is funding a $18.66 million new single span rail bridge carrying the Great Northern Highway over the Roy Hill rail line, leading into Port Hedland’s port. The new bridge will replace an existing level crossing, enabling the free movement of traffic over the rail line, removing the potential for a rail-road accident at the intersection. Today Roy Hill welcomed the Premier, Minister for Transport and Member for the Pilbara, the Hon Kevin Michel MP to inspect rail bridge construction works that commenced earlier this month. Roy Hill’s much-anticipated Career Enrichment Program (CEP) was officially launched in May 2018, and is led by our Career Enrichment Advisor Natalie Taylor. We are very proud of this initiative and the opportunities this program creates for our people. At Roy Hill, we are committed to our values of Lead, Care, Think and Perform, and it is important that we create an environment where our people can continuously learn and develop. This commitment is underpinned by our culture of improvement, technology and innovation. We are fostering a culture which recognises that our people are central to our success. The CEP is just one of the ways we provide rich and diverse opportunities to help our people prepare and work towards a better future and we look forward to sharing more about the program. We believe our employees career is one of the most important aspects of their life, and in many ways, it shapes who they are. Roy Hill has committed to partnering with our people to help them achieve their career aspirations; whether it be a promotion, a transfer, developing in their current role, or preparing for a completely different career in another industry. The CEP will help our people shape what’s next for them. Mrs. Gina Rinehart was tonight awarded the Champion of Entrepreneurship Award at the 2018 Ernst & Young Entrepreneur of the Year awards. The Champion of Entrepreneurship award is an award at both regional and national levels and is awarded to a leader with a long-term record of outstanding entrepreneurial achievement. Being selected to receive this lifetime achievement award is a testament to the outstanding entrepreneurial success of the Champion over many years. Roy Hill is pleased to confirm the introduction of the Chairman’s Profit Scheme for Roy Hill employees. A generous new employee benefit conceived by Roy Hill’s Executive Chairman Mrs Gina Rinehart, the Chairman’s Profit Scheme shares out to employees some of the profits of Roy Hill’s majority owner Hancock Prospecting Pty Ltd. Scheme payments recognise and reward employees’ hard work, dedication and commitment to make Roy Hill as safe, productive and profitable as possible. Hancock Prospecting is excited to announce that it has been awarded the Raw Materials & Mining Industry Leadership Award at the 2018 S&P Platts Global Metals Awards in London. In its sixth year, the S&P Platts Global Metals Awards recognizes top performers, industry leaders and innovators in metals and mining sectors. This year’s win follows on from two wins last year at the 2017 S&P Platts Global Metals Awards where Mrs Rinehart was presented with the Lifetime Achievement Award for her outstanding leadership in the mining and resources sector, and Roy Hill received the Rising Star Company Award. 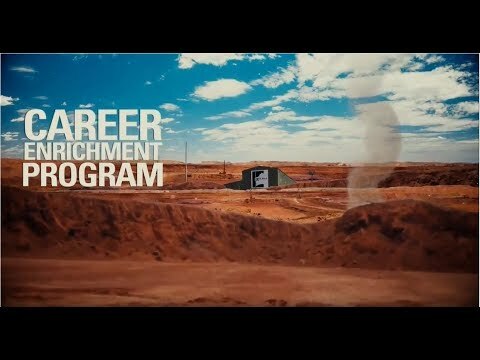 Hancock Prospecting CEO Garry Korte was also recognised at this year’s 2018 awards being nominated in the CEO of the Year category by Mrs Rinehart, but unfortunately, perhaps with Garry’s short tenure as CEO, this was awarded to another company. He did however, while CFO of Roy Hill, receive a prestigious award in Australia for the Roy Hill financing, in which he played an integral role. This financing involved the world’s largest debt funding package for a mainly greenfield, land based mining project, from 19 of the world’s largest banks and 5 export credit agencies. At the annual black tie occasion, the judges made reference to Hancock Prospecting’s considerable efforts and the turn around the company has undergone thanks to the leadership, dedication and effort of Executive Chairman Mrs Rinehart. Today, Hancock has a 50 per cent stake in three major iron ore mines at Hope Downs, with a fourth due to open in approximately 4 months’ time, and also founded, progressed and owns a majority stake in Roy Hill, the single largest iron ore mine in Australia. Hancock has also continued to grow and diversify its mining business investing overseas in UK-based Sirius Minerals and prospective tenements in South America. 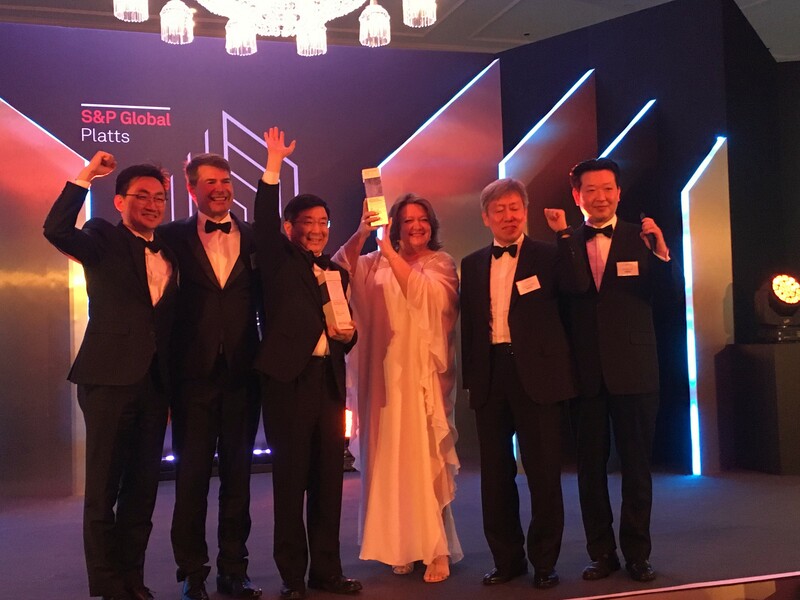 Hancock would like to extend its warmest congratulations to POSCO for being recognised last night at the prestigious S&P Global Mining and Metals black tie event scooping two awards, the Corporate Social Responsibility and the coveted Mining and Metals company of the year gong. Hancock would also like to congratulate its Hope Downs partner, Rio Tinto, who were also recognised with an award for their work in the industry. The logistics and supply chain sector’s night of nights – the 2018 Logistics & Materials Handling Mercury Awards – was held in Melbourne over the weekend. We are thrilled to announce that Roy Hill won an award for Transport Solution of the Year: Rail. Stuart Harrison, Head of Roy Hill’s Rail Operations acknowledged and thanked Executive Chairman of Hancock Prospecting Group and Roy Hill, Mrs Gina Rinehart and the entire rail operations team for their ongoing hard work. Roy Hill’s 344km single rail line was purpose-built to transport 55 million tonnes per annum of iron ore from mine to port in WA’s Pilbara region. It sets the benchmark as one of the most high-tech, innovative, remotely operated iron ore rail systems in Australia. Event media release and full list of award winners.